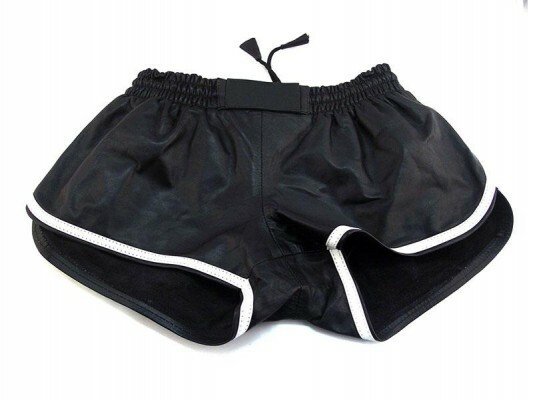 Hot leather shorts. 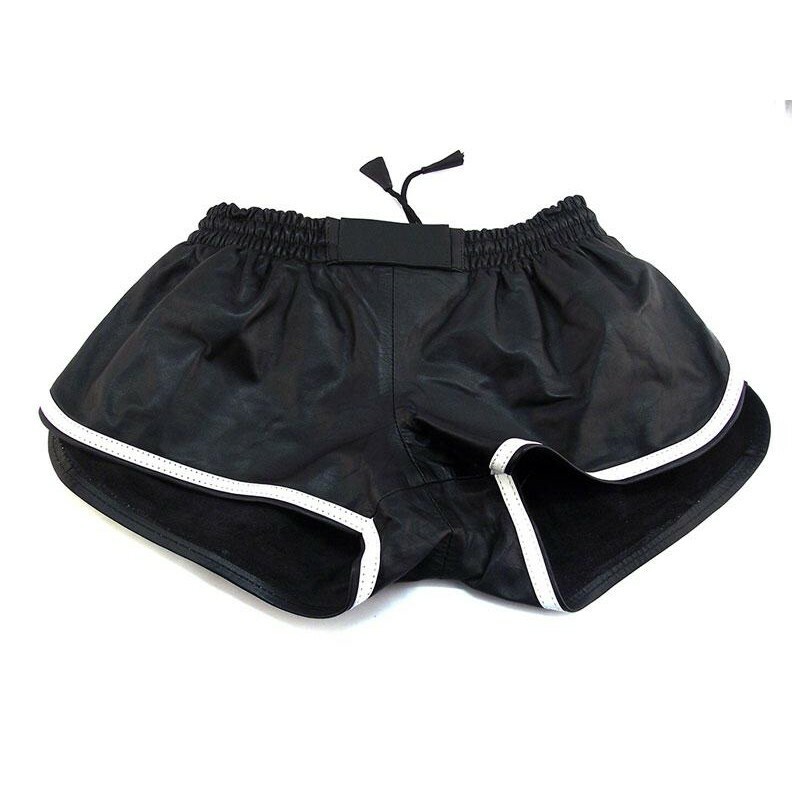 Black with White piping, also available in Black with Red and in numerous sizes. 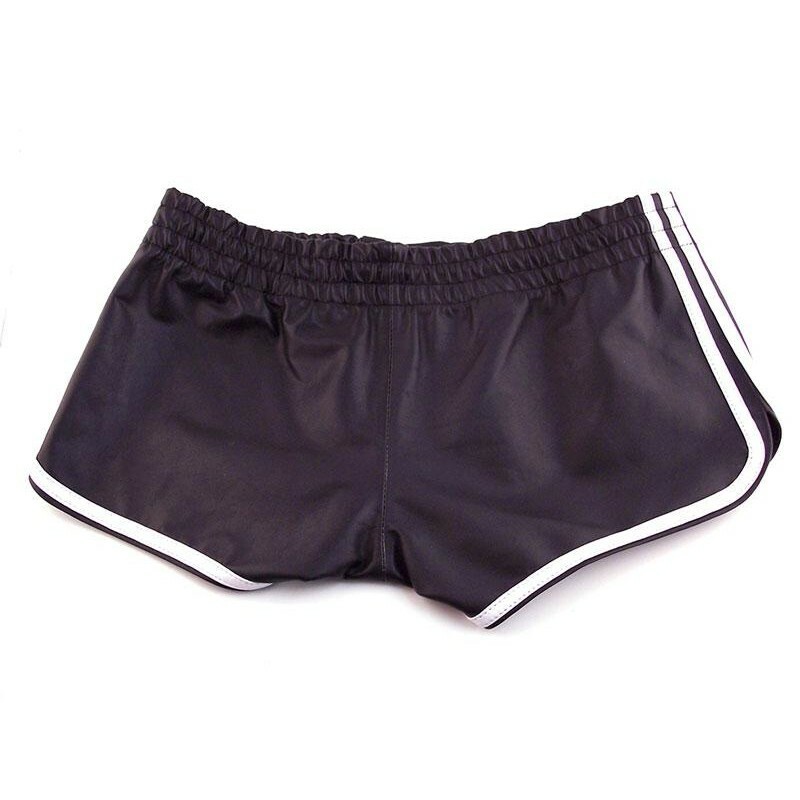 Ideal for clubbing, for play or for both! 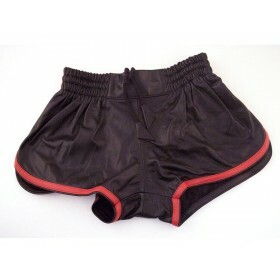 High quality leather shorts at a great price.